Hello, welcome to the November SOTM Blog hop! This month we have close to 40 CTMH's consultants participating. You should have arrived here from Pricilla's blog. Should you get lost along the way, just click HERE for a list of all blog participants. For the November SOTM, I choose to make the cover of my journal. If you are like me, I tend to set goals at the new year with the best of intentions. My goals range from loosing weight, to going to church more, and to eating less chocolate. Although I start with the best intentions, I do start to loose track and energy. But, 2016 will be different!!! I'm going to journal and scrapbook my goals. Here's a picture of the first page. I'm using the Kraft 3-ring binder. The size of the binder is 8 5/8 X 9 inches. For the cover I used the Sangria paper line. One of the pages has an ombre look. For the arrows, I cut our a background from the Artistry CTMH Cricut cartridge. The shape was cut out 6.75 inches. Since the focus for 2016 is a "New Year, New Me! ", all the arrows point to this. From the "Adventure" Fundamental Sticker Packs, I wrote the words Goals. I didn't have a chance to complete all of the pages inside. I will post those pages when complete. Next up on the hop is Chris, please visit her blog and all of the consultants blogs-- you will not be disappointed. 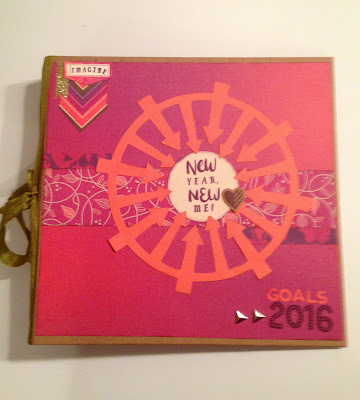 You're ready to make, track, and keep those 2016 goals! Nice album. Love the arrows pointing to the central sentiment! New Year, New Me! Great title for a journal of your goals. Such a cheery cover is a great start. I LOVE this idea!!! I'm going to make one for myself! Super cover to the binder. Great job! Great use of complementing Cricut shapes! Fun journal cover! 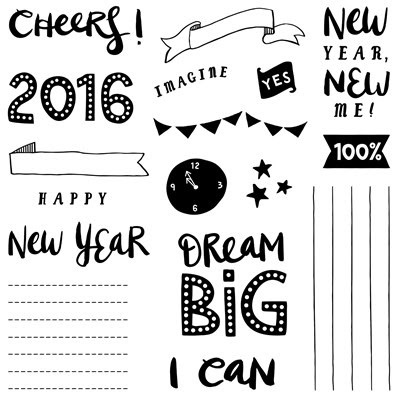 Good luck with reaching all your goals is 2016! Great journal cover! I almost used that circular arrow on my layout too - it is so cute!! Good luck with staying on track in 2016! Fun, I love that element from the Artistry Cart!! Neat idea and a great way to record goals and stay on track! CTMH Planners-- Planners gotta Plan!